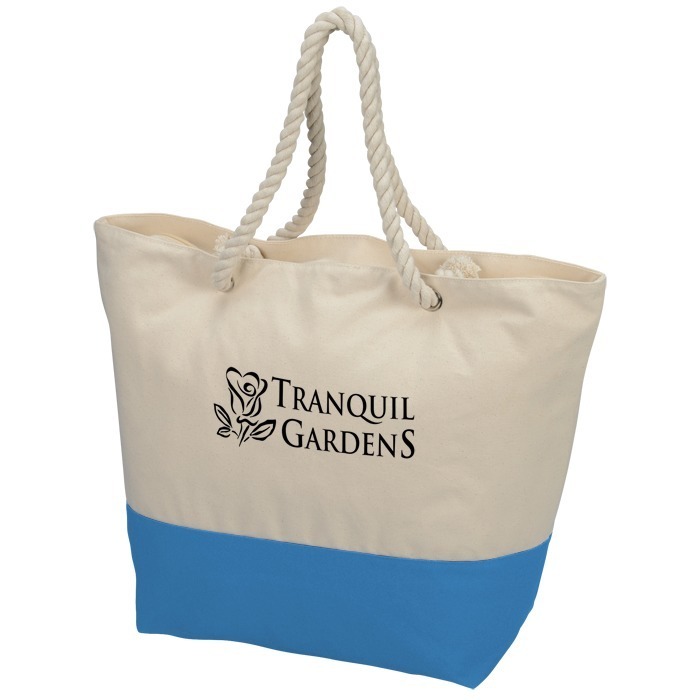 Take your promotion to the beach with these custom totes! Pack everything you need for the day in this custom cotton tote. Large compartment makes it easy to pack and retrieve items of all sizes. Zippered closure keeps your belongings secure. Carry by using the dual rope 22" handles. Color trim accent on the bottom band provides an eye-catching, nautical-style look. Size: 14-1/2" x 21" x 8".